QTY 12345 Please select a quantity. Celebrate unhealthy meals in these Junk Food White women's socks. This pair of flat knit white socks for women feature a colorful allover junk food print with cheeseburgers, french fries, and sodas, plus ribbed trim. 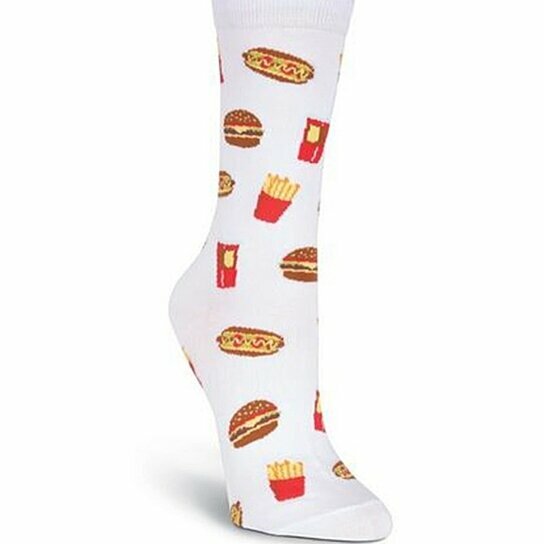 Wear these fun socks any time you're in the mood for a bite of burger!